Boone Native and Democrat Jim Mowrer, has made the decision to run for IA’s 4th Congressional District. 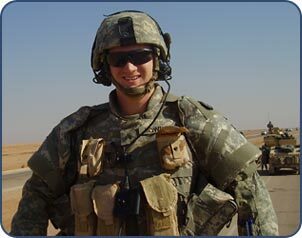 Mowrer grew up on a Farm in Boone when his country called him to service in Iraq. He then moved on to work at the Pentagon, and now would like the opportunity to serve his country in the US House of Representatives. Mowrer is ready to take on King; are you ready to help him? Visit his Facebook page https://www.facebook.com/MowrerforIowa, check out his website http://mowrerforiowa.com/, and be sure to follow him on Twitter @JimMowrer. This entry was posted in 2014 Election Campaign and tagged by Tim Nelson, Iowa's 4th District, Jim Mowrer, Rep. Steve King. Bookmark the permalink. Jim’s a great guy, a true American, and a sane and smart Iowan. He’ll make a great representative for Iowa.